The Qualcomm Adreno 505 is a mobile graphics card for mid-range smartphones and tablets (mostly Android based). It is included in the Qualcomm Snapdragon 430 / 435 SoCs and based on the Adreno 500 architecture (like the Adreno 520 in the S820, which should be fully compatible in software). The GPU supports modern standards like Vulkan 1.0 (according to Wikipedia), OpenGL ES 3.1 + AE (3.2 in other sources), OpenCL 2.0 and DirectX 12 (FL 12.1 according to Wikipedia, 11.1 according to Qualcomm). Furthermore, the GPU supports Universal Bandwidth Compression (UBWC) to save memory bandwidth. 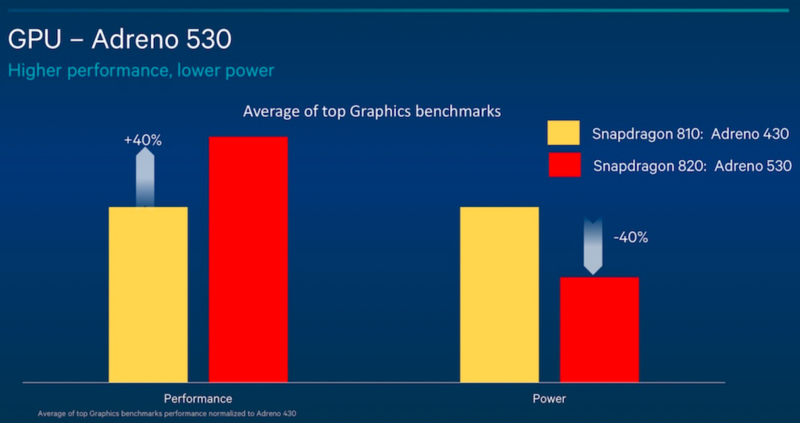 Compared to the faster Adreno 506, the 505 is manufactured in the older 28nm process and offers less raw performance.